Photo: In the mid 20th century Johanna Budwig a biochemist developed the now famous Budwig Protocol as a gentle, holistic approach to fighting cancer, heart disease, diabetes, arthritis and other inflammatory disease. It also works well for improving the digestion. Also known as the flax oil-cottage cheese or FO/CC Diet, it is based on combining cold-pressed linseed (flaxseed) oil and quark cottage cheese. Dr Johanna Budwig (30 September 1908 – 19 May 2003) was a German biochemist and doctor. She worked on dietary fats and was one of first to identify how different fatty acids worked in the body and the effects they had on people’s health. A lot of her work was researching the role omega-3 had in protecting the body from cancer and other diseases. The Budwig protocol which has its roots in Otto Warburg’s hypothesis that cancer forms when the cells fail to respire correctly and without enough oxygen cells ferment sugars which develop into tumours. In the 1950s she also was one of the very first to recognise the damage done to health by trans fats in industrially-produced foods. She became unpopular for publicly opposing that part of the food industry. Dr Johanna Budwig was a woman of great wisdom and a brilliant scientist. The protocol she developed was a practical, common sense approach to caring for the sick. including spiritual care as well as an original diet to care for the body to help it overcome disease. Where many doctors treated many forms of ill health such as cancer, diabetes, infertility, inflammatory, degenerative and auto-immune conditions with aggressive drugs, or wrote them off as being incurable, Dr Johanna Budwig showed them to be partly caused by incorrect balance of fats and that the right fats and a better diet could result in a cure. 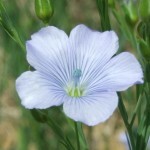 Linseed, a common food and fibre crop in Germany and Eastern Europe, had always been considered a health food and it became the most important item in her treatment of cancer; it was her scientific use of it which helped to make it more effective. 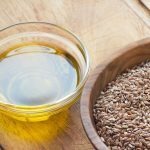 The Budwig diet incorporates omega-3 from cold-pressed linseed oil with sulphur-rich proteins from cottage cheese, fibre, lignans and powerful antioxidants from ground linseed and lots of vegetables and fruit which together help their work to aid the healing process. its use in the treatment of cancer and other conditions. The key components of the Budwig protocol are: natural sunlight for vitamin D, exercise, foods rich in antioxidants, omega-3, ground linseed fibre, probiotics, foods low in sugar, reduction of stress and avoidance of bad fats. Every day we see new scientific articles and papers supporting the importance of one or more of these in good health including the prevention and/or reversing of cancer and other diseases. From the early 1950s until 2002 Johanna Budwig treated patients with what came to be known as the Budwig protocol. The best-known part of this is the combination of cold-pressed linseed oil with quark (a very low-fat cottage cheese), also known as the flax oil-cottage cheese (FO/CC) diet. Thoroughly blending linseed oil with cottage cheese creates a chemical bond between the omega-3 and the the sulfhydryl-containing proteins in the cottage cheese done which makes the omega-3 more soluble and more effective in fighting disease. The “Budwig Protocol” has been in action for more than 50 years and is probably the world’s best known alternative treatment for cancer. 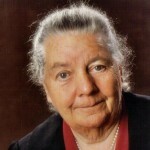 Dr Johanna Budwig wrote many books and papers on the role of fats in health and the treatment of cancer. Several of her books including a recipe book for following the Budwig Protocol have been translated into English. She was a vegetarian, a good cook and lived to 94 years old. The Budwig Protocol is gentle and pleasant. It aims at helping the body cure its own cancer from a standpoint of good health. Dr Johanna Budwig was a brilliant scientist but also a really sensible, caring practical person. Much of the protocol is good, old-fashioned common sense when caring for someone who is unwell: plenty of rest, absence of stress, warm drinks, gentle exercise, sunshine, fresh air, a nutritious diet and healthy bowels. Recent science has now shown every aspect of the Budwig protocol to have proven scientific benefits for recovery from serious disease. 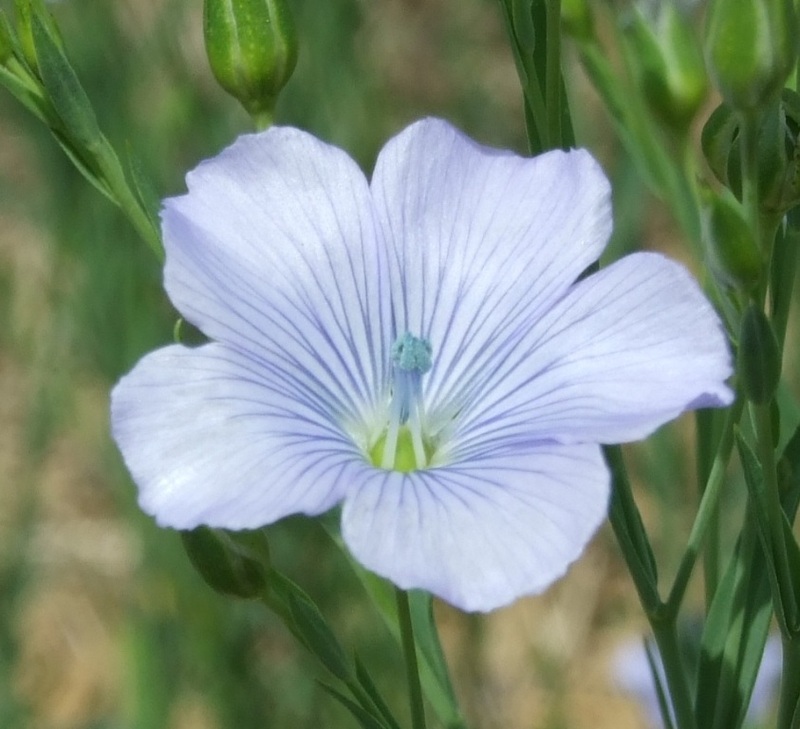 Whilst no specific claims are made on this site for its efficacy for the treatment of cancer, it is certainly an excellent diet for those who are unwell: it is easily tolerated, it tastes good, and there is a good balance of good nutritious foods. It was designed to be a healing diet and lifestyle. It is recommended that the Budwig protocol and full diet are followed for at least seven years. 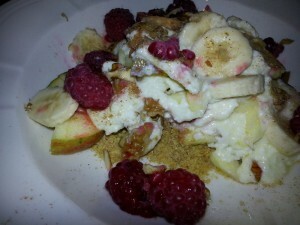 A typical Budwig-diet breakfast muesli; freshly ground linseed, fresh apple, banana, quark-cottage cheese and linseed cream (FO/CC) honey, cinnamon, fresh raspberries, Brazil nuts and walnuts. 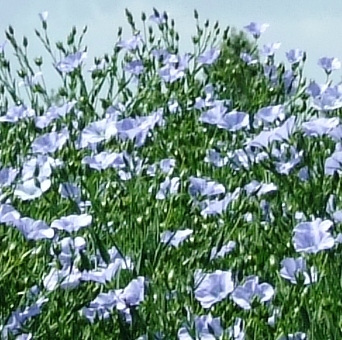 Foods you must eat: cold-pressed linseed (flax) oil blended with low fat/fat-free quark (a very low-fat German cottage cheese), ground linseed, warm drinks, fruit and vegetable juices, sauerkraut juice, vegetables and fresh fruit. The diet is carefully designed to include lots of probiotic fibrous, raw and naturally-fermented foods for a healthy digestive system and to develop a good gut flora: this benefits the whole body. Foods you can include: these include whole grains, rice, pulses, seeds, nuts, potatoes, root vegetables and even a little hard cheese. A little raw, natural honey for sweetening. Lacto-fermented pickles are allowed. You can even have a certain amount of chocolate and wine. Foods you must avoid: the diet completely avoids all other fats, sugars, refined and processed foods. Meat and fish are not actually forbidden but are not included, and the Budwig Diet has to be considered meat-free. 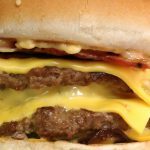 Recent research consistently shows meat/animal protein as being instrumental in the growth of cancer. At first the diet may prohibit a lot of your usual foods but it can be made rich, interesting and delicious when you tailor-make it to your own palate. The daily diet is based on regular meals of the listed foods and can be eaten in soups, stews, curries, sandwiches and more – you can vary it as you like to suit your personal taste and lifestyle, as long as you stick to the guidelines.